Replays available for every class. The $28 USD monthly payment is for the next 4 weeks of the class. Your reoccurring payment will be processed on the same day every month. You will receive immediate access to the online classroom upon payment. You can cancel your monthly subscription payment at any time. Refunds are not available after payment is received. 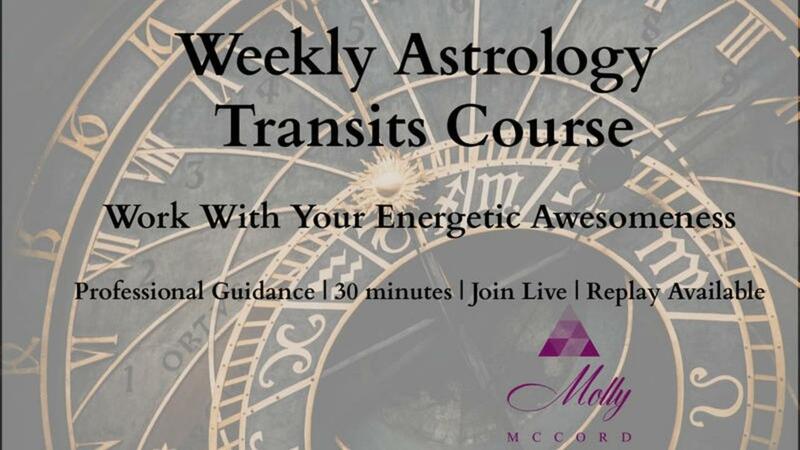 Molly guides you through the significant astrology transits in your natal chart each week so you can consciously work with your own energetic awesomeness. Each monthly payment includes 4 weeks of classes.